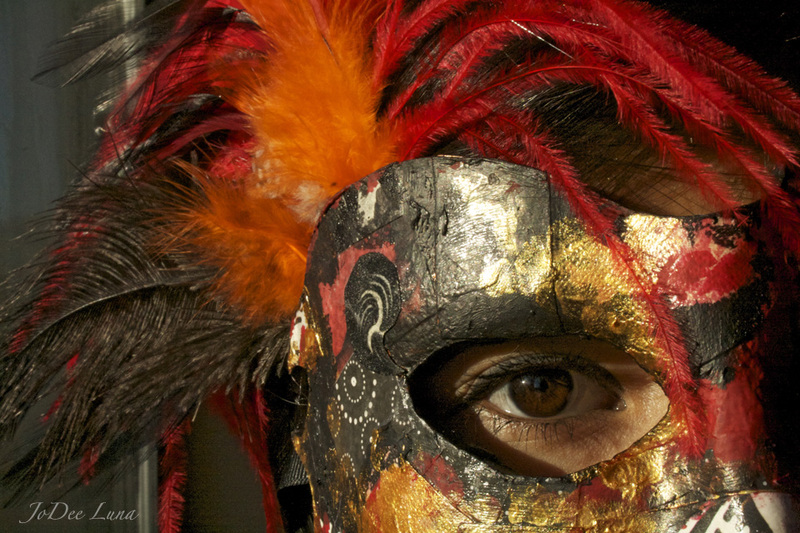 If you want to a fun project, try making your own masquerade mask. 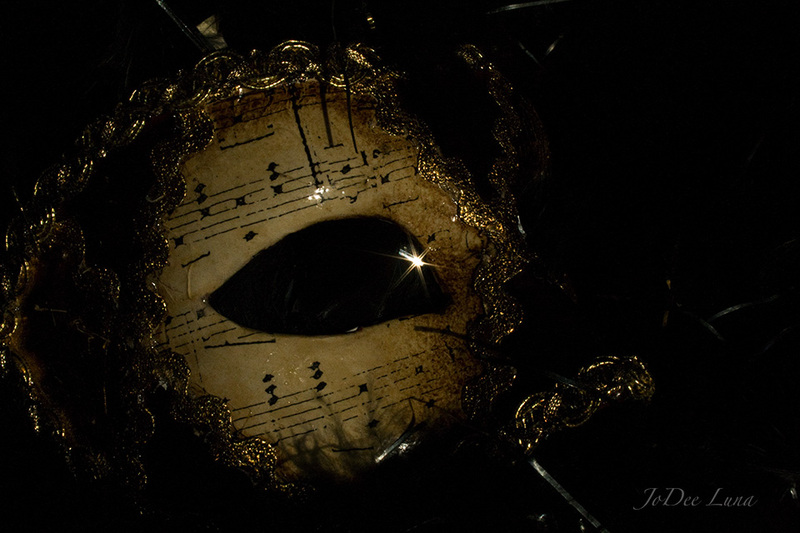 Masks possess an appeal for many people. 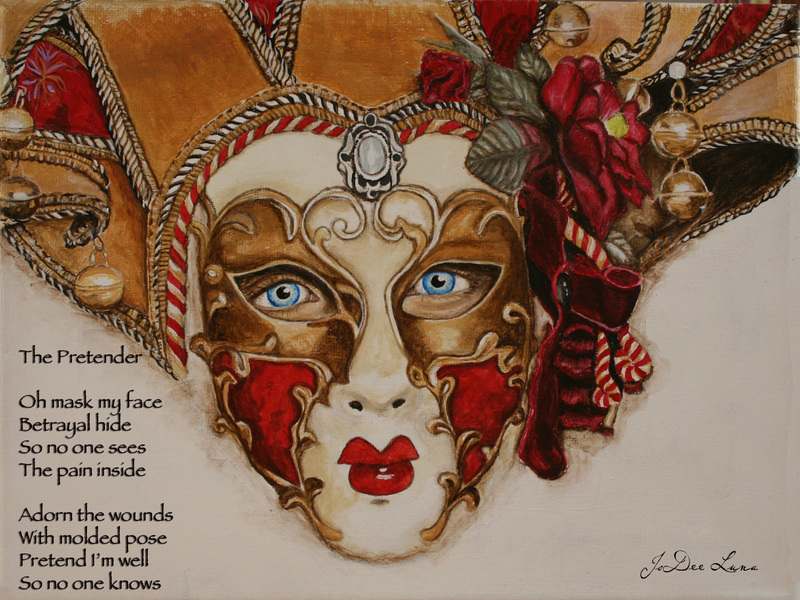 Perhaps their mysterious nature invites us to hide parts of who we are while we develop talents we want to have. I became intrigued with masks while I was developing my creativity and decided to make my own masks. Step 1: Soften a lump of clay the size of a softball by kneading it with your hands. Press the clay onto a flat surface. 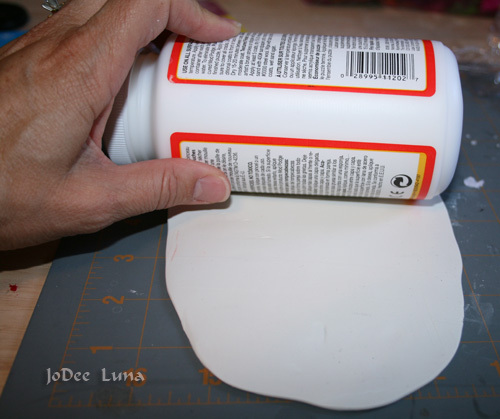 Use a piece of wax paper to keep the clay from sticking. Then roll the clay flat until it is 1/8 inch thick, using a cylinder-shaped object . 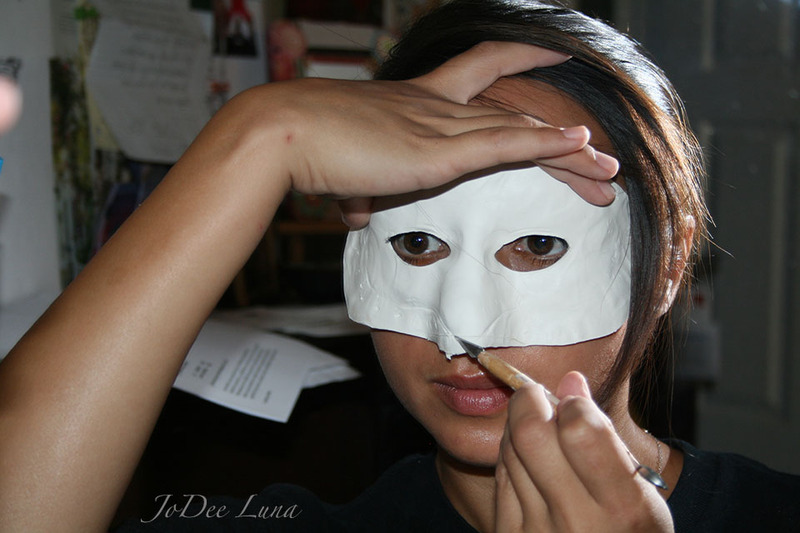 Step 2: Mold the clay onto an existing mask, sculpt the clay on your face, or carve out a design on a flat surface. 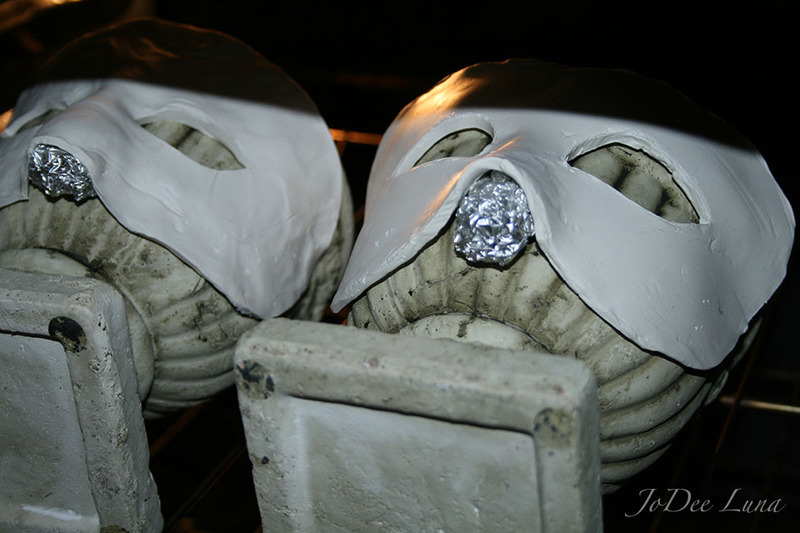 If you mold the clay using a mask, trim around the mask. If you use your own face, gently indent the clay in the shape you want. 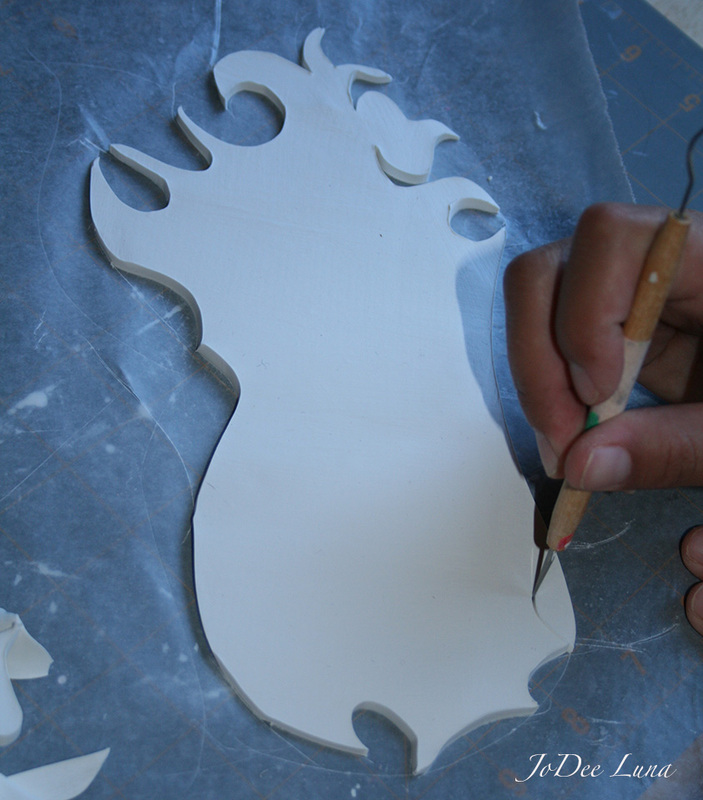 Afterwards, you can cut through the clay on a cutting mat. 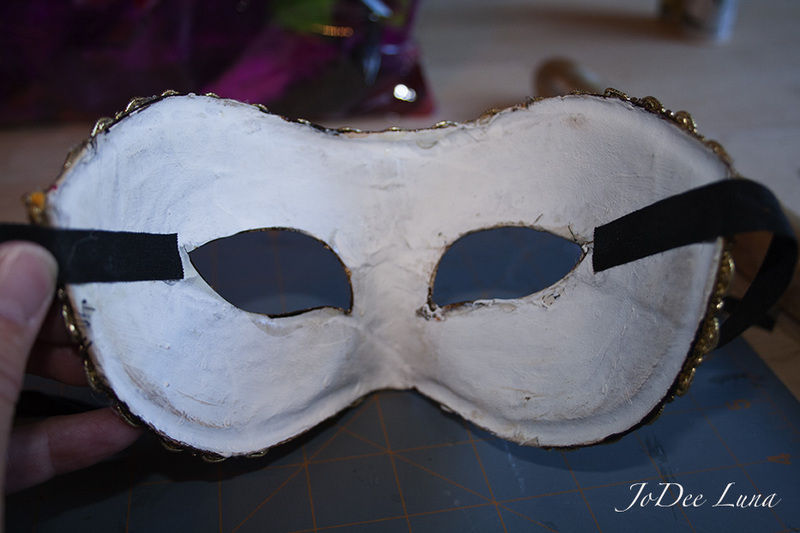 You can also sculpt the mask on a cutting mat. Step 3: Place the mask on a clay pot. Heat the oven to 250 degrees and place the pot with the mask into the oven. Make sure you prop up the nose with a ball of foil. Step 4: Cook the mask for 15-20 minutes, depending upon how hot your oven gets. 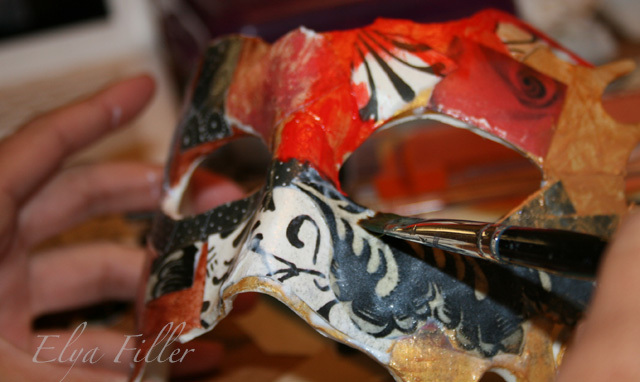 Step 10: Decorate the mask using paint and/or mixed media items. Step 10: Add embellishments. 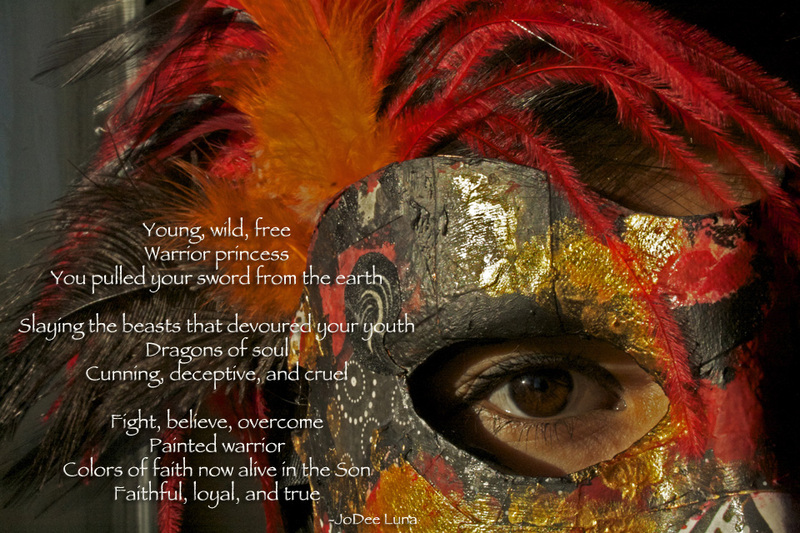 My daughter, Andrea, sculpted this mask, Warrior Princess. 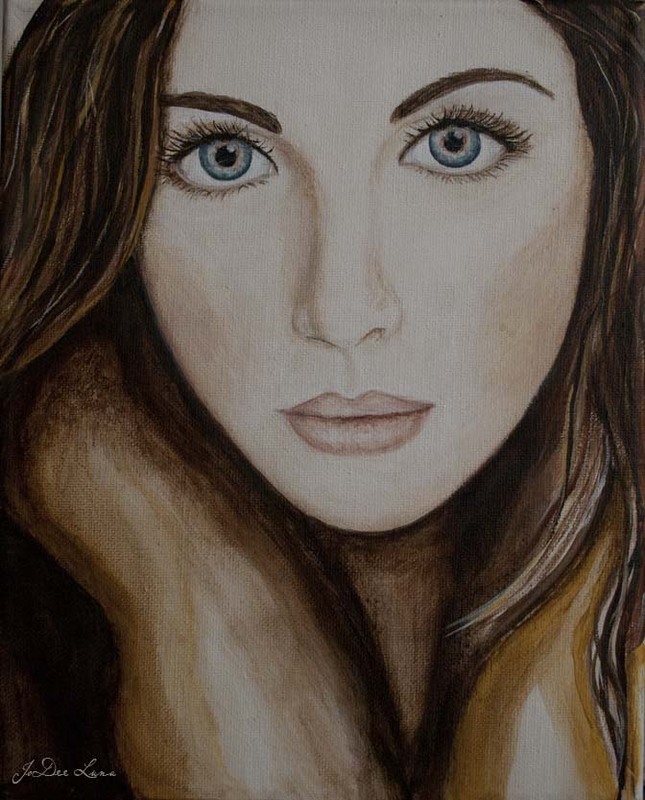 Then my other daughter, Elya, created the mixed media artwork. 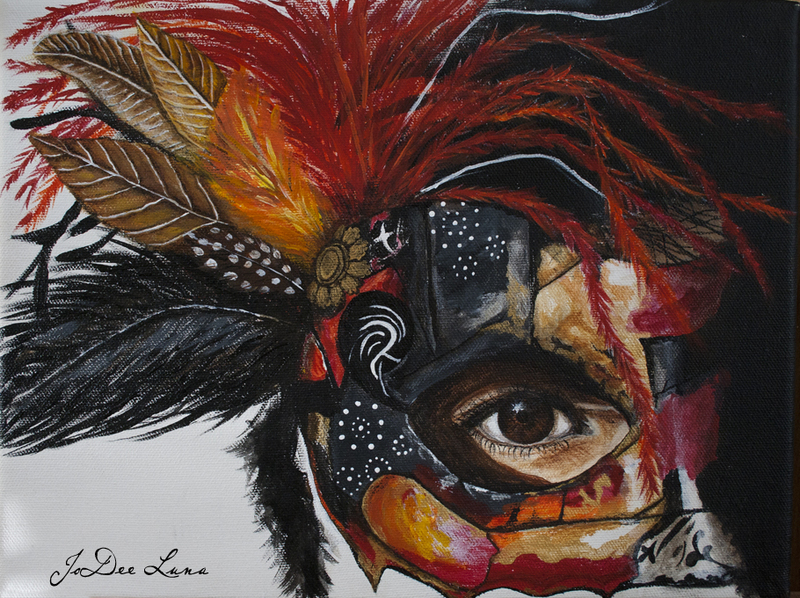 Finally, I added the feathers. 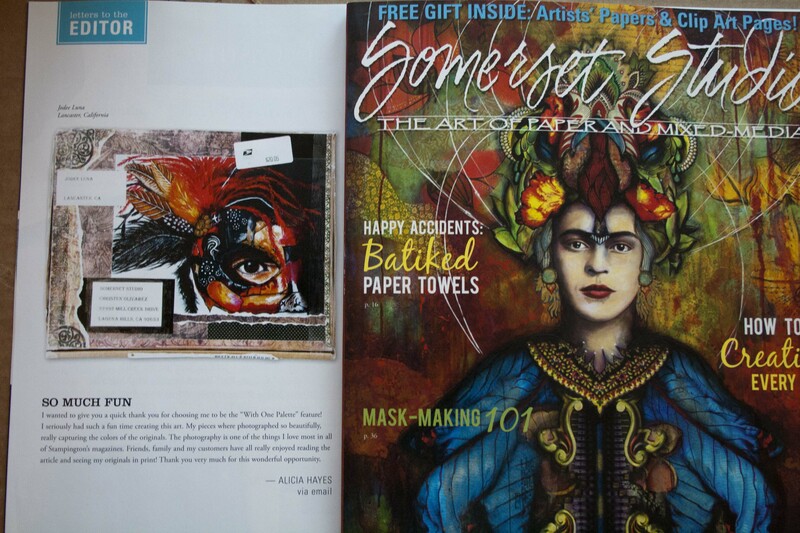 You never know where a masquerade mask project will take your creative journey! 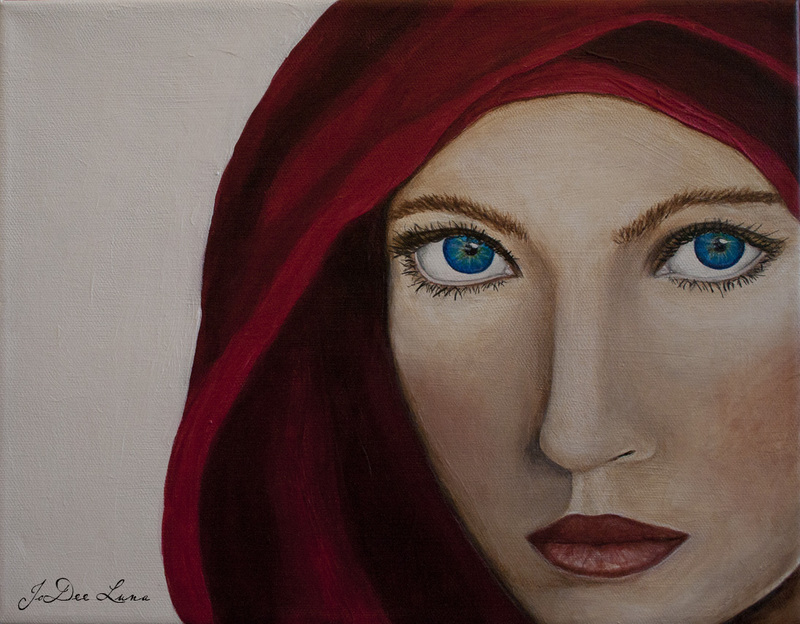 To purchase my original paintings, visit my Etsy Shop. 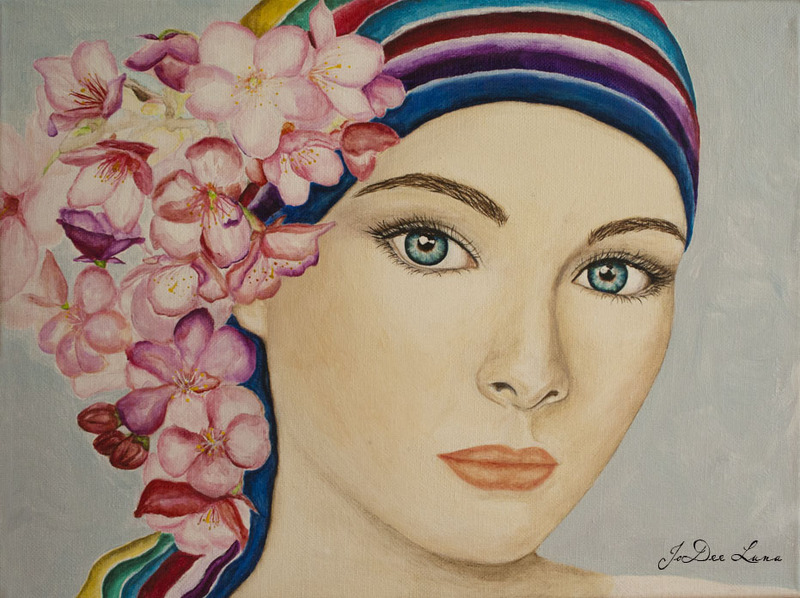 To purchase painting reproductions on a variety of products, visit my Fine Art American Shop. 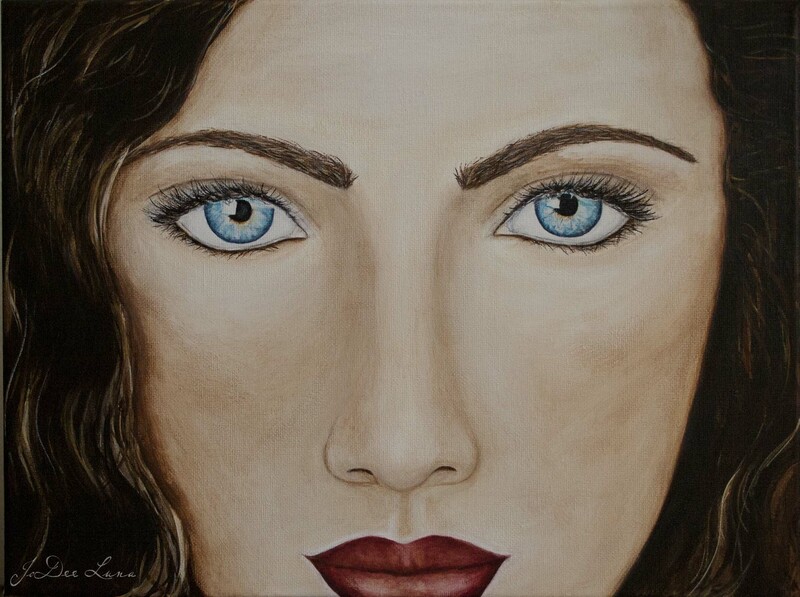 If you would like more creative inspiration and tips on how to develop and manage your creative life, check out my book, Refrain from the Identical: Insight and Inspiration for Creative Eclectics.